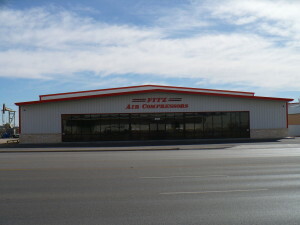 About Us | Odessa TX | Fitz Equipment Co. Inc.
Fitz Equipment Company, Inc. was established in 1960 by R.G. “Bob” Fitzgerald. Initially, Fitz rebuilt air compressor valves, air control valves, and engine water pumps. In the late 1960’s, air compressor service was added. By the 1970’s, Fitz expanded into fluid coupling and torque converter sales and service. In 1980, Fitz Equipment Company became a distributor for Gardner Denver. Today, Fitz is also a distributor for Joy, Champion, and Kaeser portable air compressors. Fitz Equipment provides service to all makes and models of air compressors including Ingersoll Rand, Quincy, FS Curtis, and Sullair. Fitz is proud to have one of the top repair and reman facilities for rotary screw compressors in West Texas. The doors to Fitz Industrial Patterns opened in May 2007 to provide customers a wider range of services. The Patterns Shop is a manufacturing facility for Fitz Equipments own line of torque converters, the “FIP Torque Converter”, as well as, National, Twin Disc, and Allison torque converter replacement parts. Today, Fitz is expanded into three branches. Fitz Equipment provides sales and service to Gardner Denver, Joy, Quincy, Champion, and Kaeser portable compressors. Fitz Torque Converters sells and services National, Twin Disc, and Allison hydraulic torque converters. Fitz Industrial Patterns manufactures parts for torque converters and specialty machine parts. Fitz Equipment may have expanded, but one thing hasn’t changed. It is still a family owned business with a commitment to superior customer service.